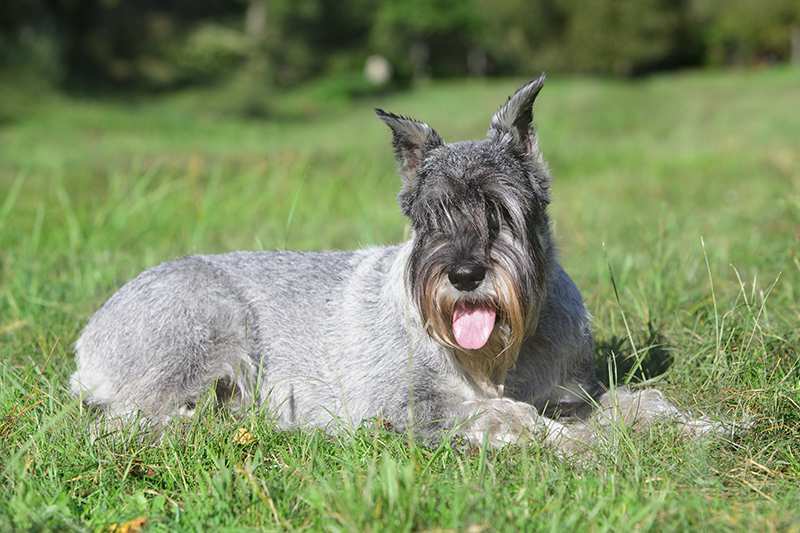 The Schnauzer is a medium-size dog of German heritage whose popularity led to the development of two more breeds – the Miniature Schnauzer and the Giant Schnauzer. 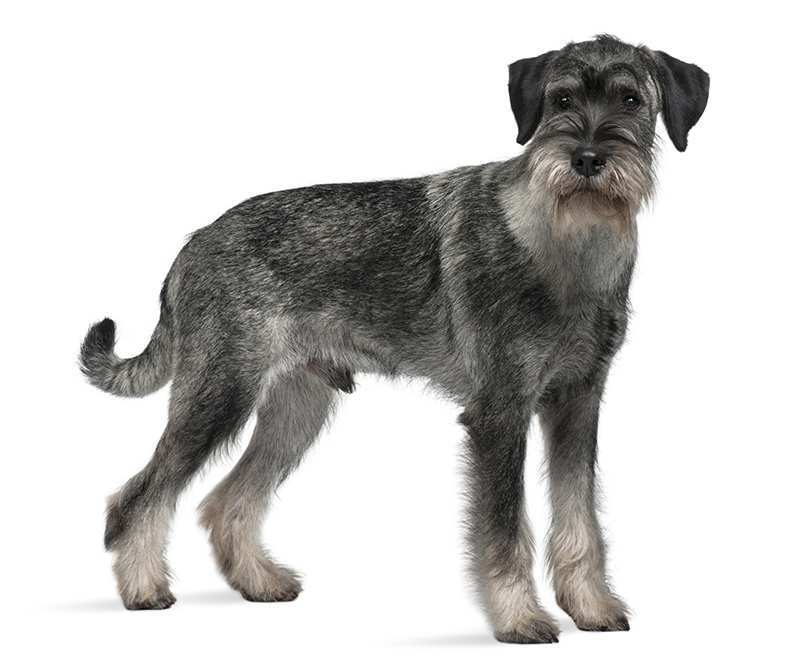 Schnauzers have a double coat and distinctively long facial hair, giving it the appearance of a beard. Its coat is wiry and can become shaggy without frequent grooming. They are usually either salt-and-pepper or black in colour, and they shed very little. Healthy male Schnauzers weigh around 16 – 23 kg and stand at 46 – 51 cm tall and females are usually 14 – 20 kg and stand at about 43 – 48 cm tall. The life expectancy of the Schnauzer is between 12 and 14 years. Schnauzers have lots of energy and therefore require adequate amounts of exercise to keep them both mentally and physically satisfied. A long walk once a day should be sufficient as long as the dog has enough room at home to run around and play. Due to their genetic tendency towards hunting, alertness, focus and independence, Schnauzers make great service dogs. Training and socialising should begin from the age of about 8 weeks in order to become a well-rounded and confident dog. Though they can be quite stubborn, Schnauzers possess above-average intelligence and need to be stimulated mentally as well as physically. Schnauzers are very sturdy and patient dogs and therefore can make great companions for children of all ages. Schnauzers also get along quite well with other dogs and cats, but they should be kept away from small pets such as rats, mice and guinea pigs as they were bred originally to hunt rats. Schnauzers are not particularly fond of unknown dogs and may show aggression towards them. Schnauzers are very loyal and affectionate towards their owners and can be territorial and protective. They will alert their humans to visitors with a bark, but once properly introduced will be very friendly to the new guest. Hip Dysplasia. Standard and Giant Schnauzers can be genetically prone to hip dysplasia, in which the hip joint and thighbone do not fit together properly, causing lameness and leading to arthritis. Schnauzers should be x-rayed and cleared of the condition or treated if necessary. Schnauzer comedone syndrome, a.k.a. 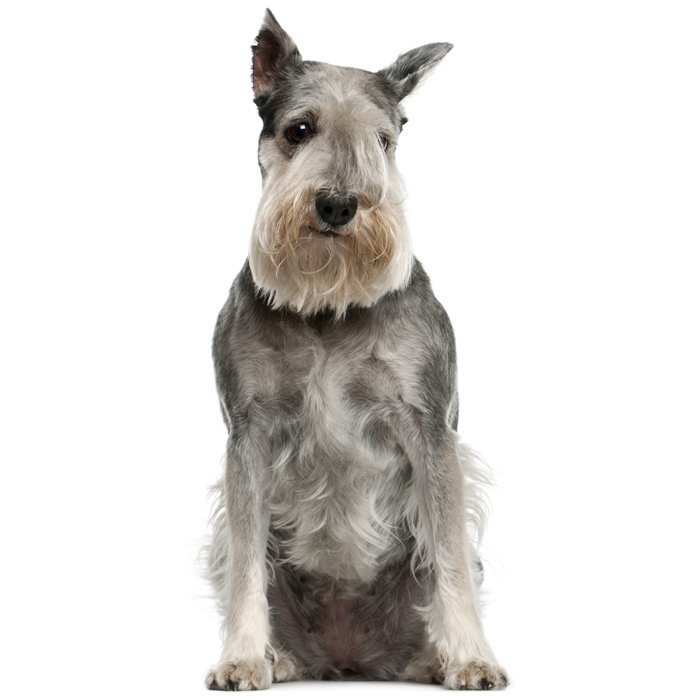 “Schnauzer bumps”, is a skin condition affecting up to 50% of Schnauzers. They vary greatly in appearance but tend to look like cysts, crusty growths and moles. They are inherited and chronic, and though there are many treatments available but no cure. Osteochondrosis dissecans is an elbow condition which causes pain and stiffening of the elbow joint. It can affect Giant Schnauzers and can be caused by genetics, improper cartilage growth, trauma or diet. It can be prevented by not over-feeding puppies with foods high in protein. 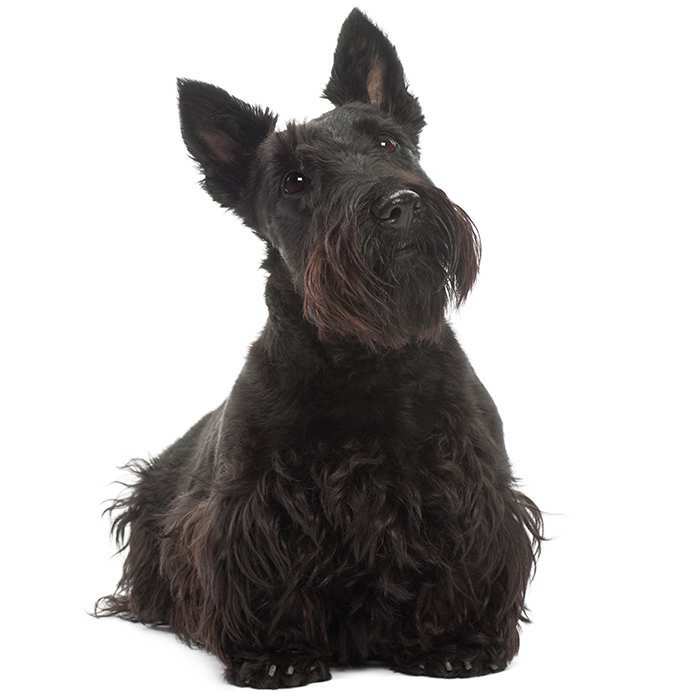 Autoimmune thyroiditis, which can affect Giant Schnauzers, is an inherited condition which causes hypothyroidism, where the thyroid gland is unable to produce enough of the thyroid hormone. This can lead to obesity, dullness, lethargy and hair loss. It is treatable with daily medication. Squamous cell carcinoma is a cancer which can develop on the toe of Giant Schnauzers and other dark-haired dogs. The main sign is lameness. If this is present in the dog, it should be taken to see a vet as soon as possible. Cataracts can occur in Schnauzers, causing them to develop poor vision and a cloudy appearance in the eyes. 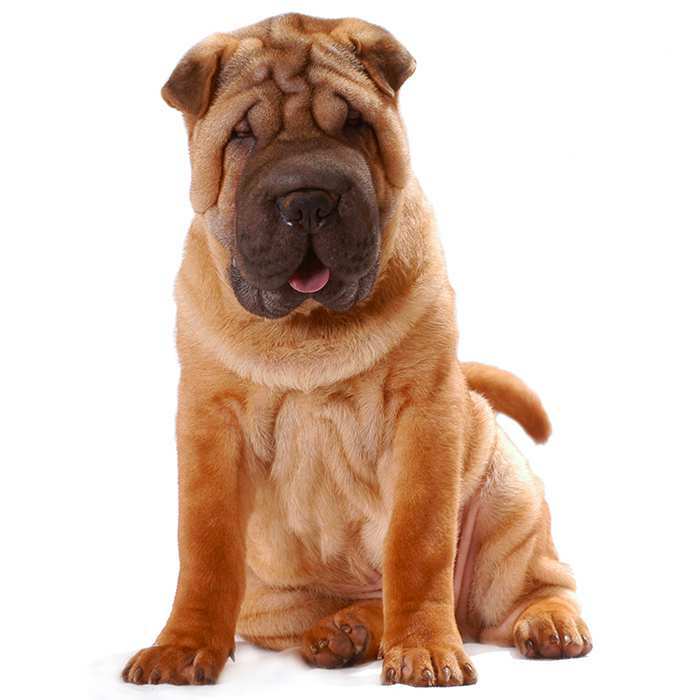 They usually occur in older dogs and may be removed surgically if necessary. Progressive retinal atrophy refers to a family of eye conditions which lead to the retina’s gradual deterioration, causing night blindness and day blindness as the disease progresses. Most affected dogs adapt easily to the loss of vision as long as their environment remains relatively unchanged. Bladder Stones.  Miniature and Standard Schnauzers may experience bladder stones, symptoms of which include painful urination, bloody urine, more frequent urination or foul-smelling cloudy urine. Smaller stones can pass by themselves, but affected dogs should still see a vet. Myotonia congenita is an inherited condition not unlike muscular dystrophy. Signs include prominent shoulder and thigh muscles, difficulty rising, stiff coats, and hopping when running. Von Willebrand’s disease is a disorder which affects the blood’s ability to clot. Symptoms include nosebleeds, bleeding gums, and sometimes bloody stools. It is treatable with cauterisation, transfusions, and avoiding certain medications. Congenital megaesophagus is a disorder which causes food and liquid to remain in the oesophagus, and the dog has to regurgitate its food. It can lead to pneumonia and obstruction of the oesophagus. There is no treatment aside from adjusting the diet slightly and prognosis is usually poor. Schnauzers are a very old breed of dog, and while their origin remains mostly unknown, it is believed that the breed came into existence in 15th century Germany. Their role was to hunt rats, guard horses and stables, which required them to be persistent, energetic, defensive and hardy. 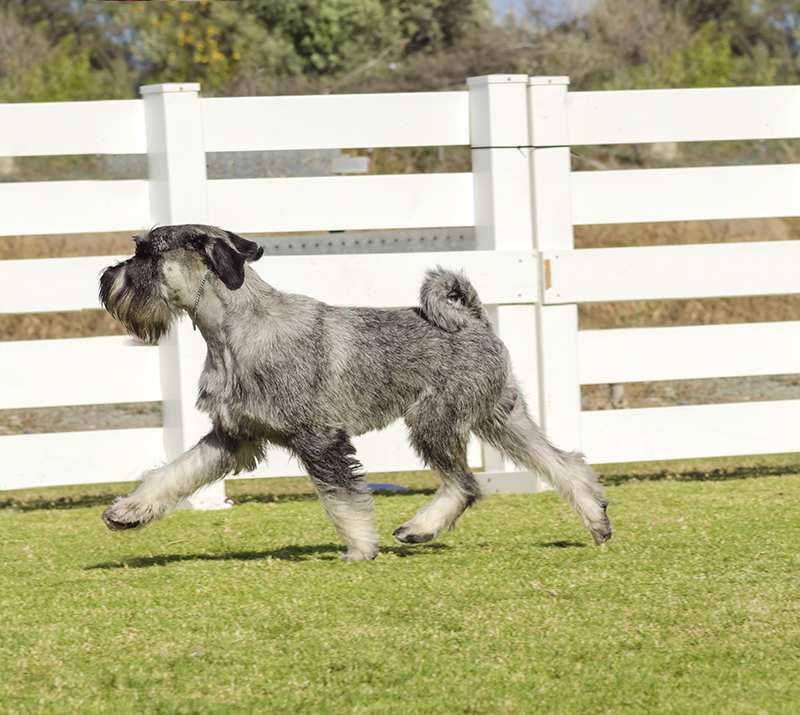 The first Schnauzer breeding standards were established in 1880. 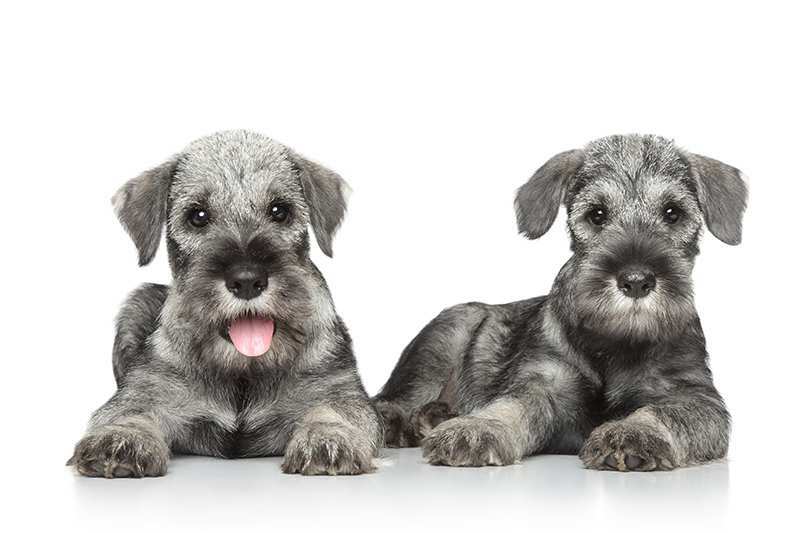 Today’s Schnauzer comes in three varieties: miniature, standard, and giant. 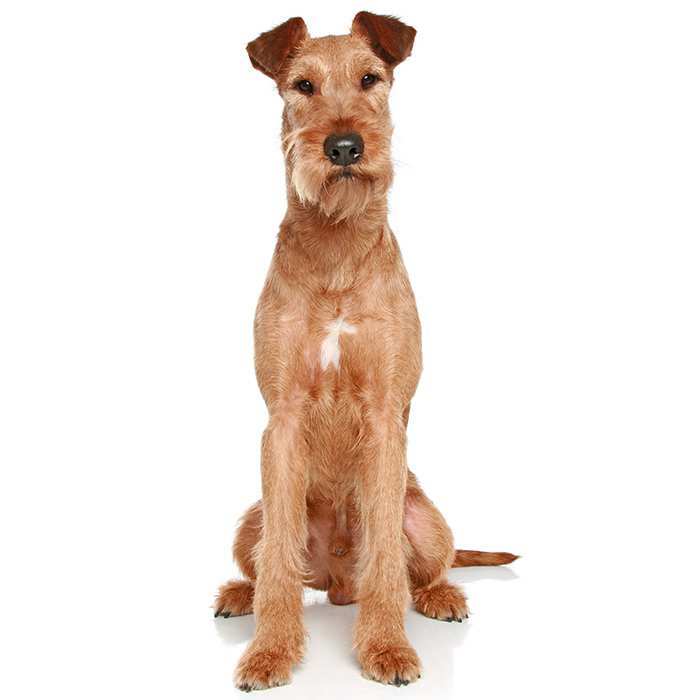 The Giant Schnauzer came out of interbreeding with the Standard Poodle and Great Dane, though this was banned in 1925. The miniature Schnauzer originated from breeding with smaller standard Schnauzers and small Pinschers. It is named after the German word for “snout”, referring to its distinctive bearded appearance.  They were first recognised by the AKC in 1933.  According to the AKC’s 2013 registration statistics, Miniature Schnauzers were the 17th most popular breed in the USA, with Giants at 83rd position and Standards at 90th. A Standard Schnauzer named George was the first dog trained to detect skin cancer, and his rate of accuracy is almost 100%. As they shed very little, Schnauzers are hypoallergenic. Errol Flynn, George Reeves, Bob Dole, Doris Day, Usher, Liza Minnelli and Katherine Heigl have all had Schnauzers as pets. Schnauzers are born premature and continue to form after their birth. Newborn Standard Schnauzers have no vision or hearing abilities.